Some people make mistakes taking powder dip nails as a new technique. But. this isn’t new at all. Powder dip nails or Dip powder nails are there since the ’80s. The application process and look of these nails are different from that of acrylic and gel nails. A magical dust is transformed into a nice layer of paint. Don’t confuse it with nail polish. It’s better than the regular manicure. These nails last up to three weeks if properly maintained. So, it will be wise to try powder dip nails for your next manicure. What Is Powder Dip Nails? Powder dip nails differ from acrylic nails and gel manicures to a great degree. Though there are some other techniques where the powder is used in manicures, here the grains are thin and finer. That’s why the coat looks smooth and even. You can paint your nails in more vibrant colors by using powder dip nails. The key ingredient of dip powder is a glue named cyanoacrylate. This helps the powder bond with the nail beds. You can have this manicure within less time compared to the manicures where acrylic and monomer is used. The process of having powder dip nails is easy and simple. You can do them yourself so easily at your home. And a big advantage is you will be using colors of powder form, that means it will not get sticky on your skin like a typical nail polish. At first, a base coat is applied on the surface of the nails. Then, the nails are dipped into the powder. You can use any color you want. This dipping process is repeated until you get an even and smooth layer on top of the nails. It also depends on how many coats you want. And at the final stage, seal the deal by using a top coat on the powdery layer of the nails. The nails will look smooth and glossy in vibrant colors. Get The Kiara Sky Dip Powder Set We Used Here: http://amzn.to/2nr6KMh ❤ SUBSCRIBE to CutePolish so you never miss a nail tutorial! http://www.youtube.com/cutepolish?sub_confirmation=1 ❤ SUBSCRIBE to Juli’s channel for more nail art videos by her! http://www.youtube.com/jauntyjuli?sub_confirmation=1 ★ DOWNLOAD & PLAY Polish Blast for FREE on iPhone & Android! Are Powder Dip Nails Safe? 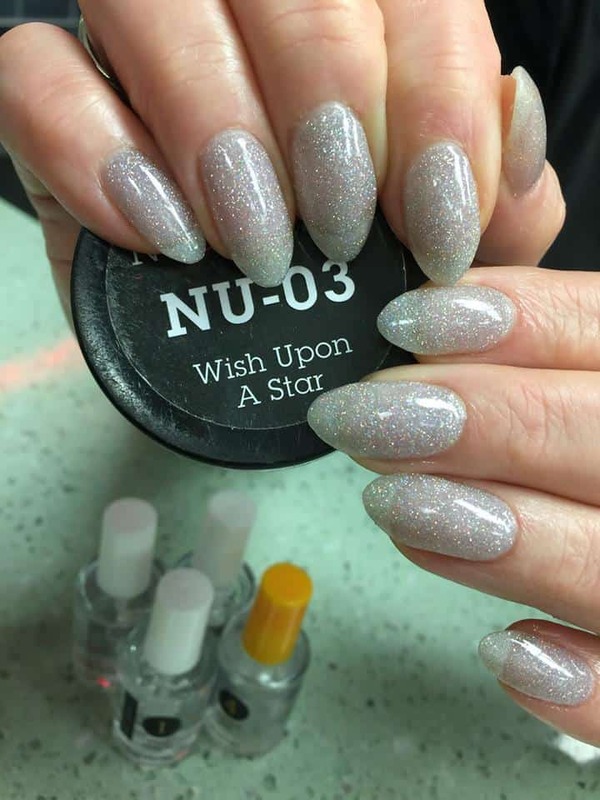 Salon owners and nail artists have searched for a safe and healthy manicure as an alternative to acrylic and gel nails, at last, they have found it. Powder dip nails are long lasting and shinier that too without doing any harm. There is no possibility of damaging your nails as no UV lamps or monomer is used. Besides, powder dip nails don’t hinder the natural inhalation process. Powder dip nails are safe because don’t involve chemicals like methacrylates in the application process. Methacrylate causes the harms to the patron of the nails. Since it is not used in powder dip nails, nothing to worry about it. Cyanoacrylate doesn’t soften the nails as methacrylate does. So, dip powder nails will leave your nails healthy and beautiful. Powder dip nails look chic but you need to choose the right supplies to design your nails. There are hundreds of nail dipping powder kit but all of them don’t produce the expected output nor the removal process is healthy while removing them. You can use Kiara sky dipping powder in this case. This is well known and recommended dipping powder by most of the nail techs. You’ll shine brighter if you use quality powder at the time of doing powder dip nails. Let’s see what could be the designs in this regard. You can accentuate your greenish blue nails by dipping any of the nails into glittery silver powder. A ring on the ring finger will complement the other nails. This design can be done perfectly by using Kiara sky dipping powder. These powder dip nails look stunning in blue glitters. These chocolaty maroon nails have been done by using chocolate dip. You can have these extra durable and shiny nails if you do the powder dip nails correctly. This is one of the innovative powder dip nails. Dip your nails into less thin and fine powder. And don’t apply the protective top coat after the dipping is done. This will create a rough surface on the nails which will look great. This design is all about shine. The silver glitters on white nails are looking fabulous on the nails. You can have powder dip nails like this one if you are a shine lover. Powder dip nails have been invented to compete with the acrylic nails. Girls are using powder dip nails for its safety and easy application process. But, it’s not only about the safety issue. The designs must look beautiful even if there are threats of possible harms. That’s why beautiful designs get the first priority in any nail design. You can check out our articles for inspirational nail designs.